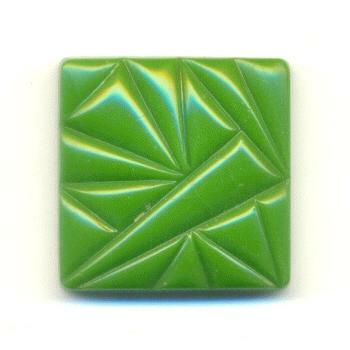 The price listed is for one green glass square stone. These measure approximately 18.5mm in length and width. These have a textured deco front and a smooth flat back.